During the last secular bull market in gold during the 1970's there was a price correction of 46% from 1974 to 1976. If the $1,180 bottom holds for the most recent correction in gold's current secular bull market, it would mark a 38% decline. Gold was a U.S. only story during the 1970's run, and American investors quickly threw in the towel after the devastating 46% decline. 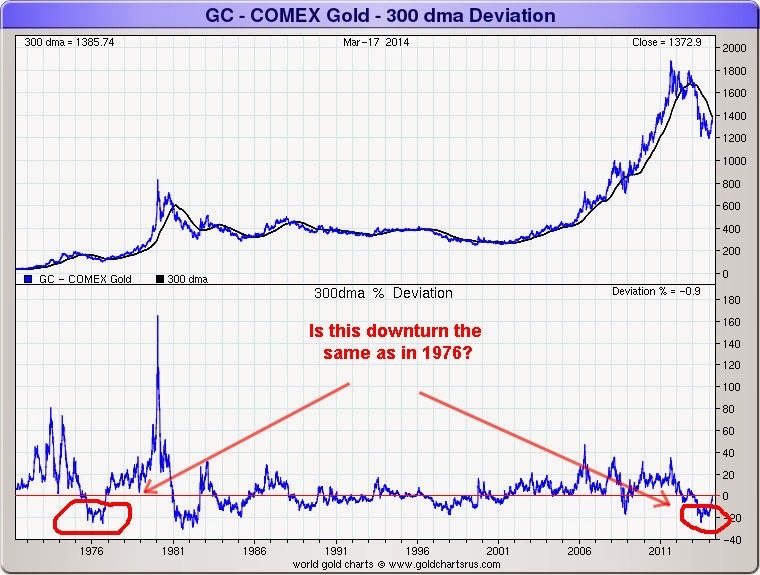 Gold then rose 700% from the 1976 bottom to its peak in January 1980. The majority of the secular bull market run of the 1970's occurred in the last 3 months. While the entire financial world believes the gold bull market has ended, I believe the final stage is still ahead of us. If you want to come on board, prepare yourself for massive volatility and enormous price downdrafts along the way.